Presenting your home in the best possible light. A fresh new canvas for your home. When it’s time to sell your home, you want it to sell fast and at the maximum price. Professional staging at Design by KETI helps you do just that. We are the exclusive staging design experts of profitable, sellable Real Estate. The fixed elements in your home – architecture, walls, flooring, countertops, light fixtures – set the stage for the rest of your décor. Let our experts choose the right baseline design and maximize the value of your home. With an expert eye for color, texture, balance and symmetry, we blend your most treasured possessions with new furnishings and accents to create a home that captures your style and personality perfectly. Founder Keti Abazi is the only staging designer in the Metroplex that holds this certification. She can walk into any room and perfectly select the colors that best work with the undertone of the fixed elements in your space. 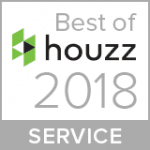 Voted as Best of Houzz four years in a row - 2018, 2017, 2016 and 2015 - by our clients for our keen eye for design and commitment to excellence and results. 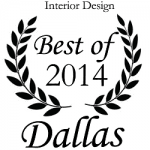 Also voted as Best of Dallas in the design category in 2014. Are you living like a bachelor and ready for a home that reflects you and your personality? By adding the right type of furniture, decorating walls and adding accents we will turn your 'pad' into a home. 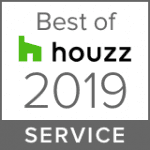 From selecting on-trend colors, flooring, and fixtures, to staging the home to sell or to enjoy for yourself, we are your one-stop shop for all your make-ready, renovations and redesign needs. I hired Keti to do a quick turn-around staging project for a luxury home for sale in Dallas. She is very detailed, and her staging decor is highly appealing to buyers. I had several buyers comment on how perfect the furniture was for the house. I had three contracts on the listing within 2 weeks. She was totally worth the investment. Keti was wonderful to work with. Not only did she do a great job staging our house, but gave us advice on what she believed would make our house sell the quickest, by making it completely move in ready. We had three offers in the three days and got over asking price on our house! I contacted Keti because I was tired of having an apartment that looked like it belonged to a bachelor. She brought her great ideas and awesome design abilities, and within two hours we had a plan. By the following Saturday my apartment was completely made over. I cannot be happier. Keti’s attention to detail is unmatched and her work is absolutely beautiful. She is a true professional in every sense. I am immensely thankful to have had the opportunity to work with Keti and highly recommend her. She is the absolute BEST in DFW! Keti delivers world class service, always giving 100 percent to make sure your project stands out from the rest. I have worked with her on numerous projects, each staged to perfection. Design by Keti did an outstanding job on our Lakewood home prior to putting it on the market. She focused on and enhanced the unique aspects of the property. Our house sold promptly at the asking price.